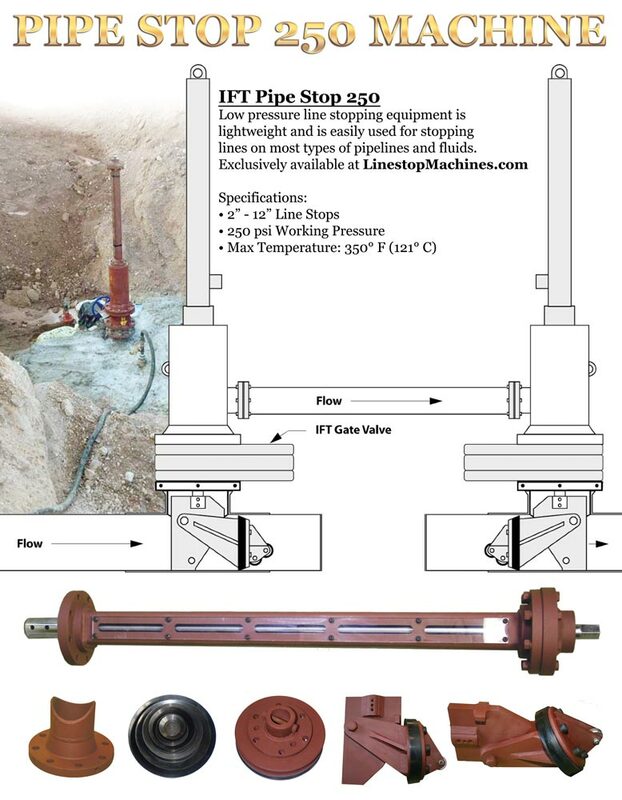 IFT Linestop® services plug and bypass pipelines without interruption of service through the same fitting. 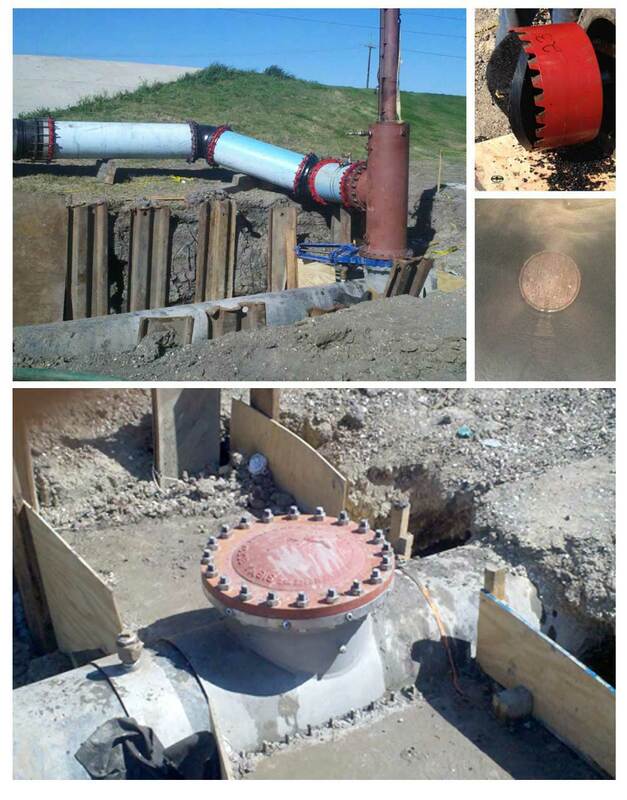 We offer different styles of Linestop® machinery to accomplish many different needs. 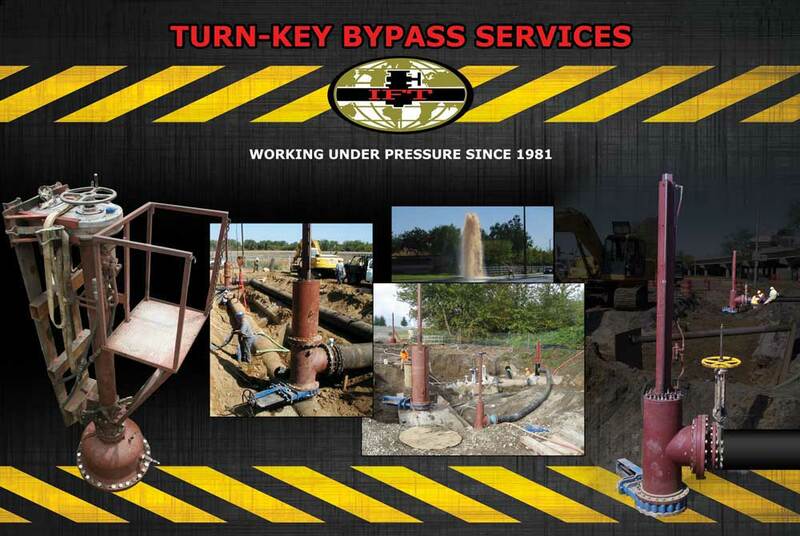 Non-folding Linestop® machinery can provide up to a full-size bypass on 2” through 48” pipelines and full-size bypass services are available and performed throughout the USA and Internationally. Because full-size bypass machinery can get very large, IFT has developed Folding Linestop® machinery that plugs and bypasses the pipeline through a smaller opening. This system does provide a reduced bypass with that but is commonly sufficient for temporarily plugging and bypassing many pipeline systems. 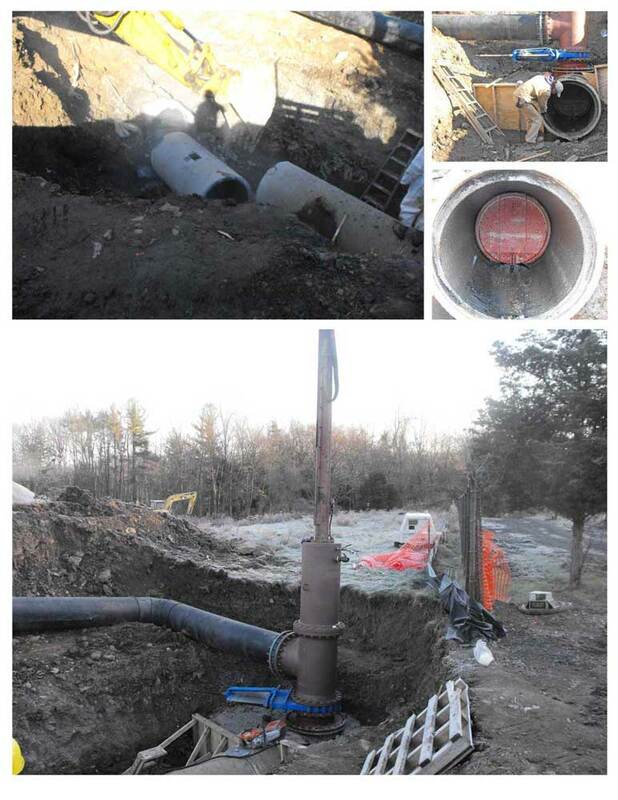 Folding head services are offered on pipelines up to 72” and IFT has started designing machinery through 96” services.